I’ve often heard what makes a great outfit is confidence and accessories. And isn’t this the truth? I learned long ago that it makes a world of difference when you feel confident in your own skin. This also transcends to any given outfit you’ve chosen for the day. When you feel confident wearing it, you will truly shine. I’ve also learned that the right accessories make or break an outfit. It never ceases to amaze me how a simple necklace or earrings can make such a huge impact on your outfit. It’s truly the finishing touch. 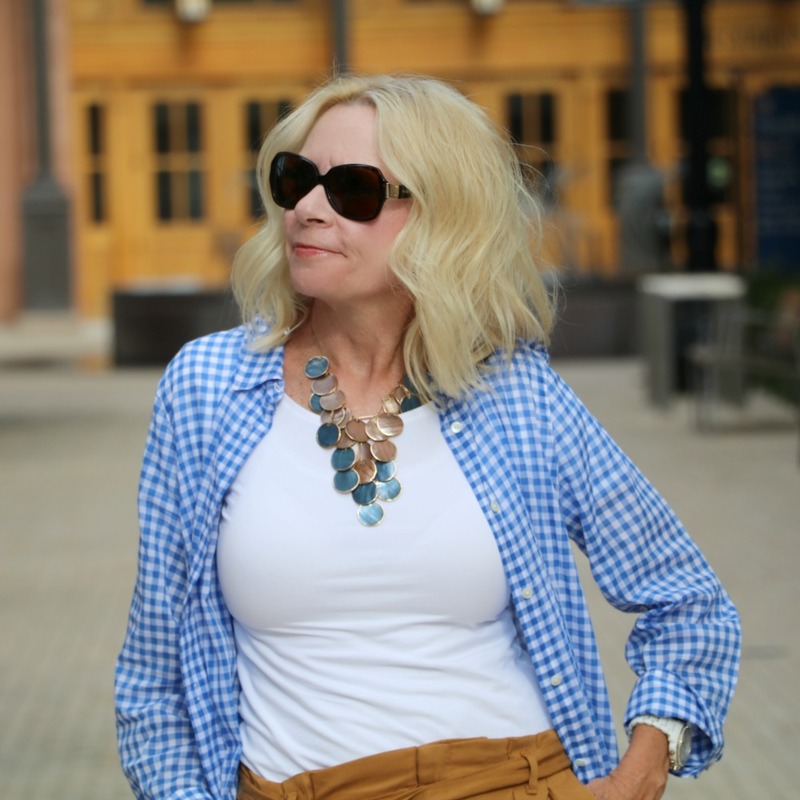 I’m stepping out today with a fun gingham duster (which really could be worn as a dress), some high waisted trousers, booties, and of course a statement necklace. Afterall, it is Friday which calls for a date night, right? As always my friends thanks for dropping by, have a wonderful Friday. Great outfit. The duster/long shirt gives your outfit an edgy look. I am a big fan of statement accessories myself, they can do wonders to a simplest outfit.